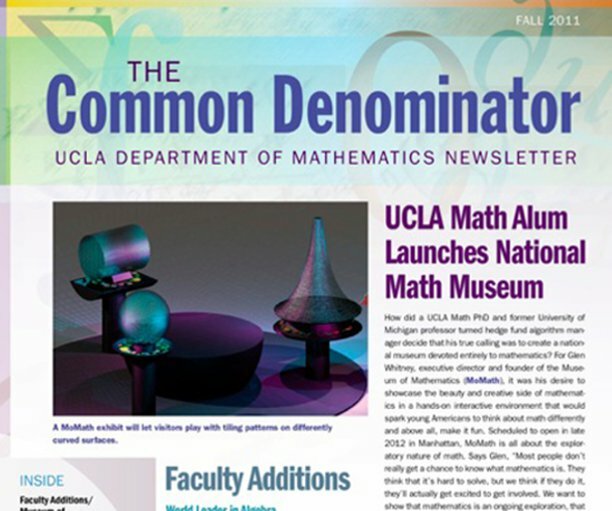 Welcome to the online home of the Department newsletter! 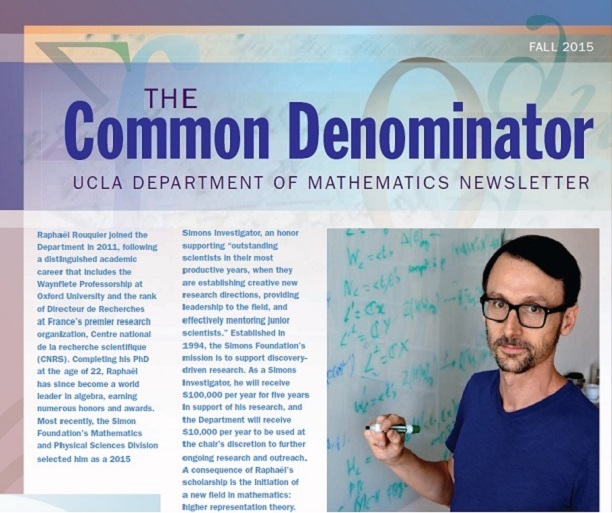 Published annually in the fall, The Common Denominator outlines the past year's exciting news and accomplishments of our faculty, students and alumni. 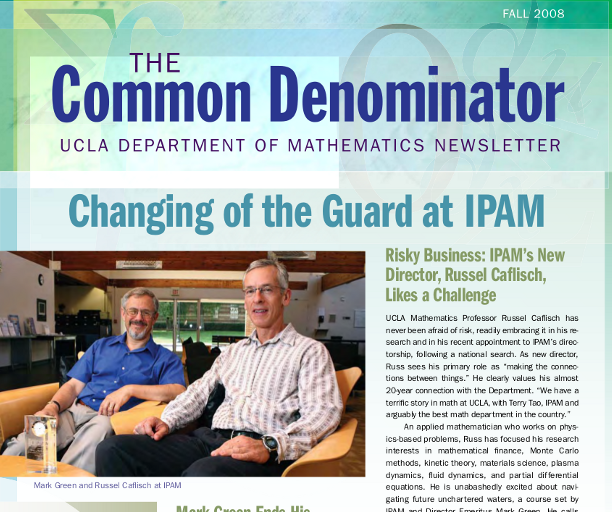 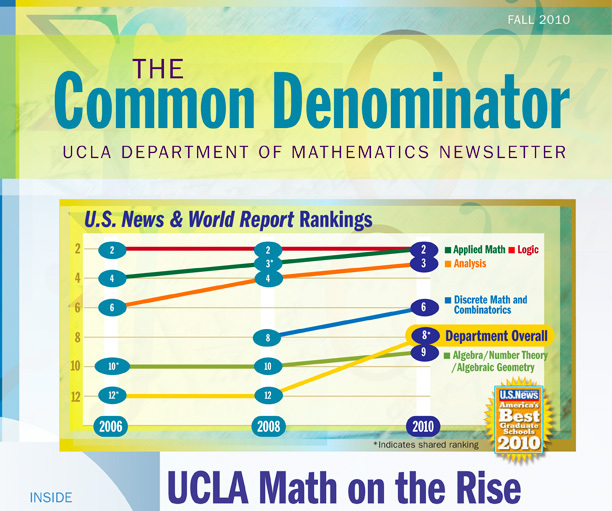 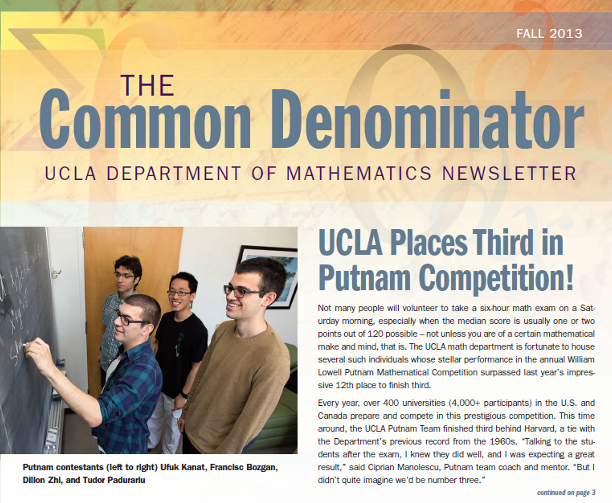 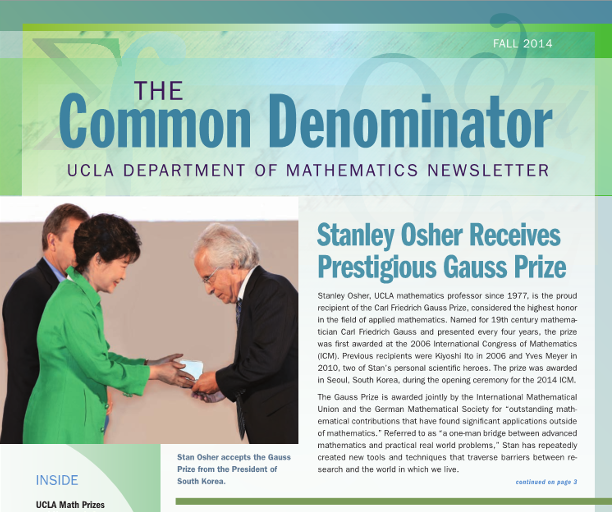 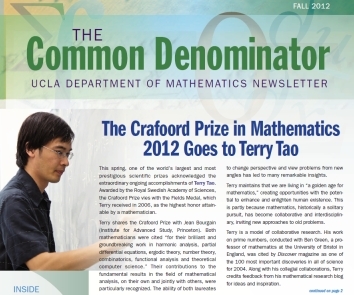 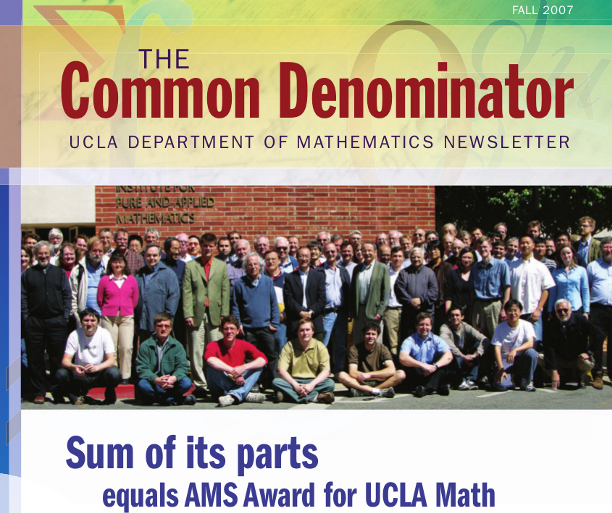 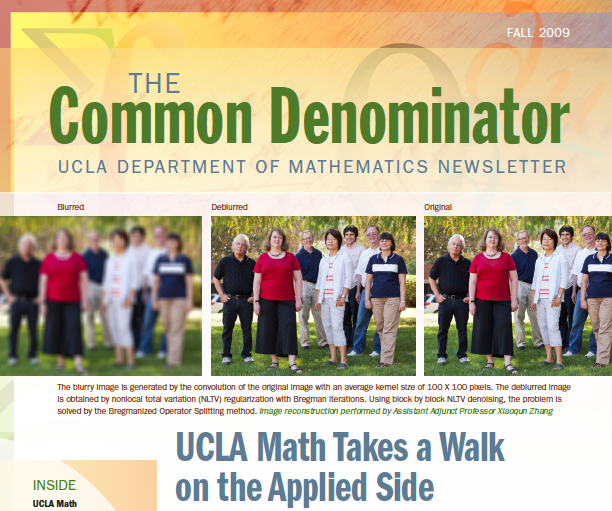 If you have any questions regarding the newsletter or have intriguing news to share with the UCLA math community, please contact Christina-Marie Santillan at santillanc@math.ucla.edu.